I don't know what I would do without flavored coffee. Every since I became parent, it is essential. I do have to admit that I do not have vast experience in brewing my own pot of coffee at home since I just grab on on the go. 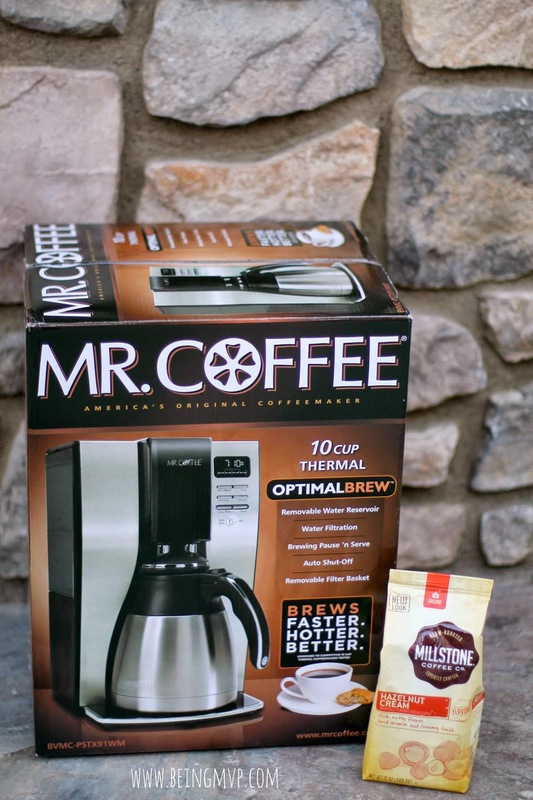 Since I wanted to start enjoying a delicious cup on the weekends as well as have it available for our guests (I can't tell you how many times people were shocked that we didn't offer coffee in our home), it was perfect timing to try Millstone® Coffee in my Mr. Coffee® 10-cup Optimal Brew™ from Walmart. My first experience with coffee was not so splendid. My piano teacher made me drink a sip from a fancy cup when I was in high school. Let's just say I was not happy about it nor did I enjoy it. Fast forward to college through law school and I started to enjoy a bit more since I was always periodically studying. The coffee addiction kicked in after having Kenzie. I refrained when I breastfed both kids and I was craving it when I smelled the delicious aroma around it. Guess who bolted for a cup after the weaning was complete? The Mr. Coffee® 10-cup Optimal Brew™ looks sleek and clean on my counter top. I like that it is easy to fill and clean due to the removable filter basket that is mounted on the side. 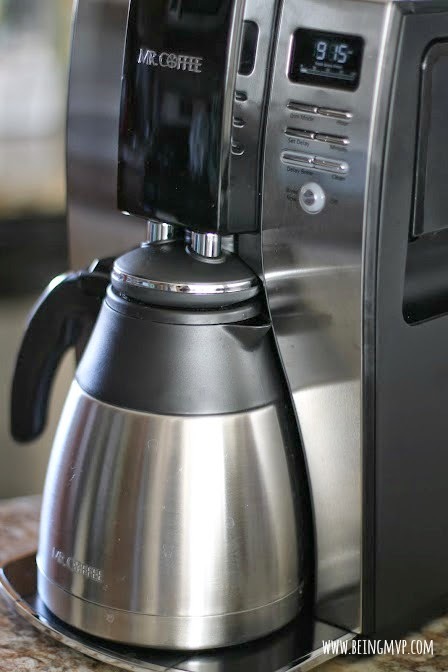 You can brew 10 cups in less than 7 minutes so this is great for all your guests to enjoy after a meal. The timing ensures a thorough extraction and full bodied flavor. The sleek stainless steel carafe is functional in that the coffee is kept hot until the very last drop is enjoyed. This is a great option because while I like to drink coffee in the morning, Hubs enjoys it throughout the day so he finish the pot at his own leisure. 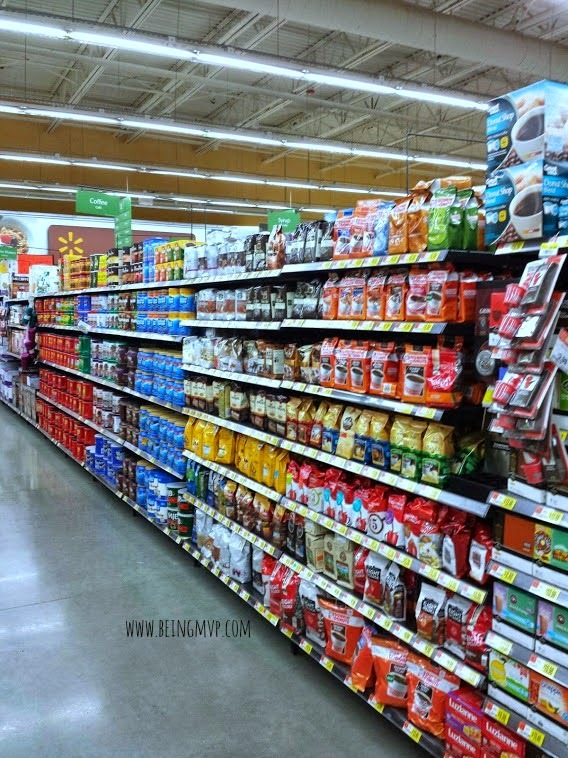 Since I only drink flavored coffee, I picked up a bag of the Millstone® Coffee Hazelnut Cream from Walmart and spooned it into the coffee maker. While the coffee brews, I get Kenzie's backpack ready for school and clean up the kitchen and living room because there is almost always some sort of clutter. I then pour a cup of the Millstone® Coffee into a mug and enjoy about 5 minutes of me time before heading to work. It is during this time that I don't have to worry or think about anything and just relax before my hour long commute to work. The flavor is rich and smooth. There are many varieties of Millstone® Coffee so you can definitely find one (or several) that fits your taste buds. I am definitely picking up several different varieties soon! Weekends are when I can just sit and enjoy a cup of coffee with a pastry with Frozen / Disney in the background. Since the weather has been hot, what better way than to add some cream and ice to my Millstone® Coffee for a delicious treat? I am such a great wife that after I polish off my cup and before leaving for work, I pour some into Hubs' travel mug so he can take it work. Bonus points! I am no longer afraid to brew my own cup of joe at home especially since it is so yummy and satisfying. Who knew it was so easy and satisfying? 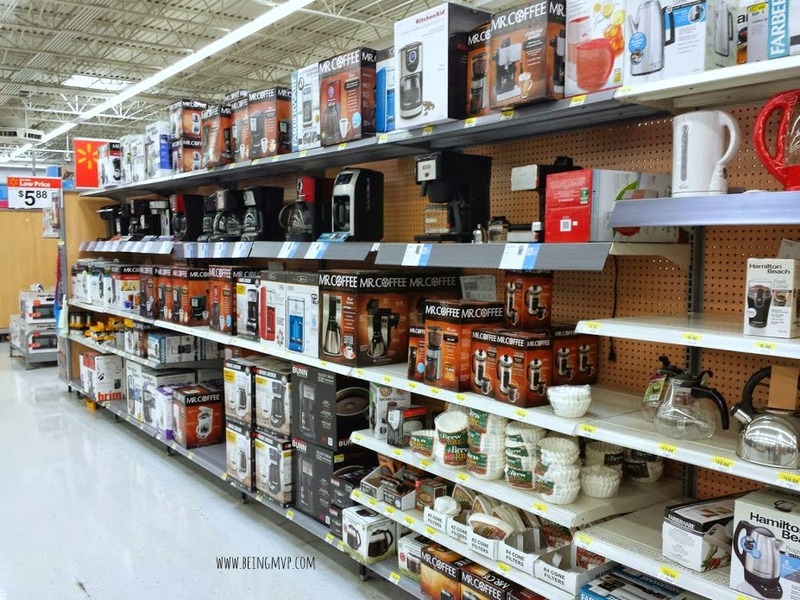 I can't wait to have our friends over to compliment my coffee making skills. 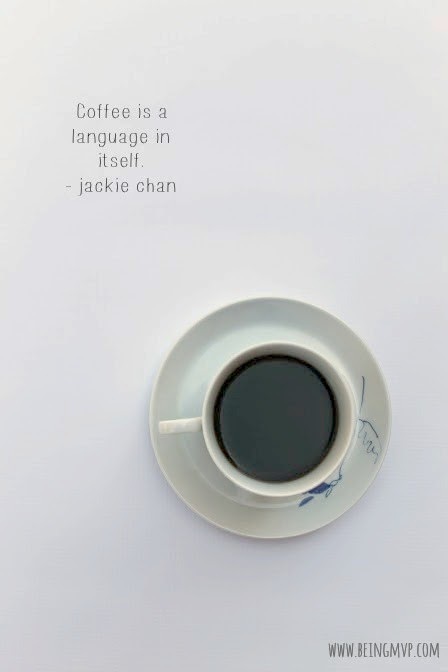 Tell me about your #CoffeeJourneys. What flavor Millstone® Coffee have you tried or want to try? One winner will Receive a bag of Millstone® Coffee and Mr. Coffee® 10-cup Optimal Brew™! I love iced coffee, I would like to try their Caramel Truffle flavor . I want to try Foglifter. I can't start my day without coffee. I'd love to try the Foglifter---sounds like just what I need! i am a coffee lover throughout the day. My #CoffeeJourney starts every morning when the first thing I do is make coffee. I want to try the Chocolate Velvet coffee. Id love to try the Caramel Truffle flavor. 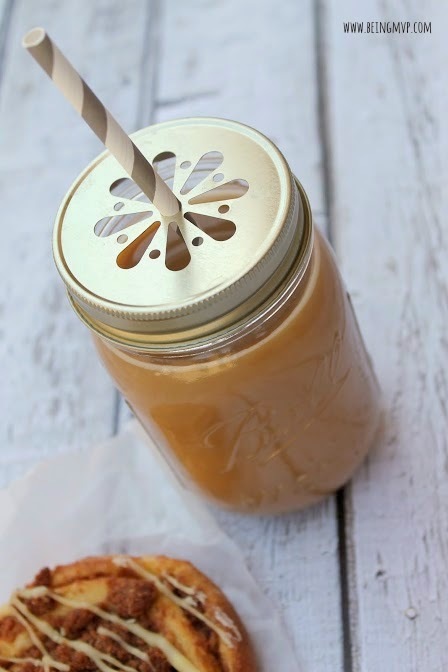 I start every day with a home made iced coffee! I start my #CoffeeJourney when I wake up, I make a cup on enjoy it on the patio while checking email. I would love to try the caramel truffle blend. Looks good. I'd absolutely love to try their Caramel Truffle flavor! Sounds delicious! I can't function very well without my coffee. I would love to try the Caramel Truffle flavor. I'd love to try the Foglifter. It's sounds interesting. I would like to try the French Vanilla flavor. My husband would enjoy it too. I really like the French Vanilla! I would love to try the hazelnut cream flavor. My drink at Starbucks is a hazelnut latte so I wonder if this would be comparable? Mr Coffee doe shave the best machines. My #CoffeeJourney starts as soon as I wake up in the morning. I really want to try Foglifter. I'd like to try Chocolate Velvet...or French Vanilla or Hazlenut Creme...they all sound delicious! Caramel truffle is my favorite flavor. Thanks for the chance to win! I Would Love To Try The Hazlenut Cream Flavor! I like my coffee with half and half and sugar. I would love to try the Caramel Truffle flavor, it sounds yummy. I would most like to try the French Vanilla variety. My #CoffeeJourneys is five minutes peace before my children get up in the mornings. My journey begins with a cup of coffee and my dog. I think I would like to try the Caramel Truffle. I start everyday with a cup of coffee. I would love to try Chocolate Velvet. I would love to try the Vanilla and the Chocolate velvet! I have to have my coffee as soon as I get up! The Caramel Truffle flavor sounds so good to me. I drink coffee every morning and throughout the day. I want to try the Kona Blend. I honestly don't know that I HAVE tried the Millhouse brand. I drink coffee to get me going in the morning, and I look forward to trying the hazlenut flavor. My husband is the coffee drinker, he hasn't tried this coffee before, and he'd like to try the foglifter flavor. I start my #CoffeeJourney first thing in the morning with iced coffee to jump start my day. I would like to try Chocolate Velvet coffee. I enjoy my coffee with cream and sugar before everyone is awake. It's my quiet time. I would love to try the Foglifter, I love the name. i would love to try the Caramel Truffle flavor yum! I have tried a lot of them but Chocolate Velvet is my absolute fave ever. I would love to try the Caramel Truffle. I want to try the Kona Blend! I want to try the caramel truffle. Yummy! I've never tried Millstone before, but the French Vanilla sounds really good. I'd like to try Hazelnut Cream coffee. I would love to try the Kona Blend. I would like to try the Caramel Truffle to make iced coffee. I'd like to try hazelnut - yum! I would like to try the French Vanilla flavor. I have never tried Milestone, but I would love to give the Hazelnut flavored coffee a try! I would like to try the Caramel Truffle. My first experience with coffee was similar to yours. It was my aunt who made me drink a cup when I was a teenager. I don't know why she thought I HAD to be initiated! When I was younger, she had also insisted I try certain foods that I still hate to this day. Get off my back, you're not my mother! I do drink coffee now and would love to try the Hazelnut flavor! I only drink regular coffee but Id like to try the vanilla nut flavor and the regular. I would like to try the Caramel Truffle flavor. It sounds like it would be delicious over ice, with a splash of cream. I would really like to taste this good coffee of theirs; CARAMEL TRUFFLE. I require coffee every single morning to function. I would love to try the Caramel Truffle. I haven't tried the Millstone yet, but I would love to try the chocolate velvet. I want to try the caramel truffle. I would like the Breakfast Blend coffee. My #CoffeeJourneys would start with Foglifter. I am not a fan of flavoured coffees. I would love to try the Breakfast Blend! I worked at Starbucks for 5 years before I became a stay at home mom, so I was definitely hooked on coffee lol! I would love to try the Caramel Truffle coffee, it sounds so tasty I have never had Millstone coffee before! I would love to try their Millstone Foglifter coffee because it sounds so interesting! I would like to try the Caramel Truffle. We also only drink flavored coffee! I want to try the French Vanilla! I have never tried their coffees before! I love a good strong cup of coffee with a little sugar! I actually haven't drank much coffee before and haven't tried any Millstone Coffee flavors yet. But I'd love to try chocolate velvet!! I'd love to try the caramel truffle, that sounds so good! I recently discovered that I love pecan flavored coffee, any kind of desserty/southern/pie kind of pecan flavor. I love black or hazelnut flavored coffees. I'd love to try the Milestone, Hazelnut Cream. I don't like flavored coffees so the Morning Blend would be perfect for me. My #CoffeeJourneys entails me starting every day off with strong black coffee. I'd like to try the Milestone Caramel Truffle coffee. Chocolate Velvet for me! I've gotta find this stuff! I have never tried Millstone Coffee before. I would love to try the FOGLIFTER®. First thing every morning, I journey to the kitchen for my first of several cups of coffee of the day. I would like to try caramel truffle. I'd love to try the foglifter! My husband drinks coffee all day but im a one cup in the morning just to get me going... though in college i was more like 3 pots a day! I start each day with a nice hot cup of coffee! I'd like to try caramel truffle! The chocolate velvet sounds delicious!